This is a really nice shirt. It fits just right and good quality for the price. It's a shame that they don't have these in darker colors, like dark, or dark blue. I ordered the blue and the Shirt colour was a little more grey than expected. 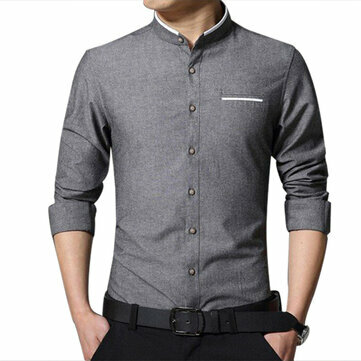 But overall, the shirt is well made and the fit is very good.